It’s about time we all sat up and really looked at how to use Pinterest to drive traffic to your blog. It is not simply a melting pot of cat pictures, it’s a very real opportunity for bloggers to catapult themselves into the big league. 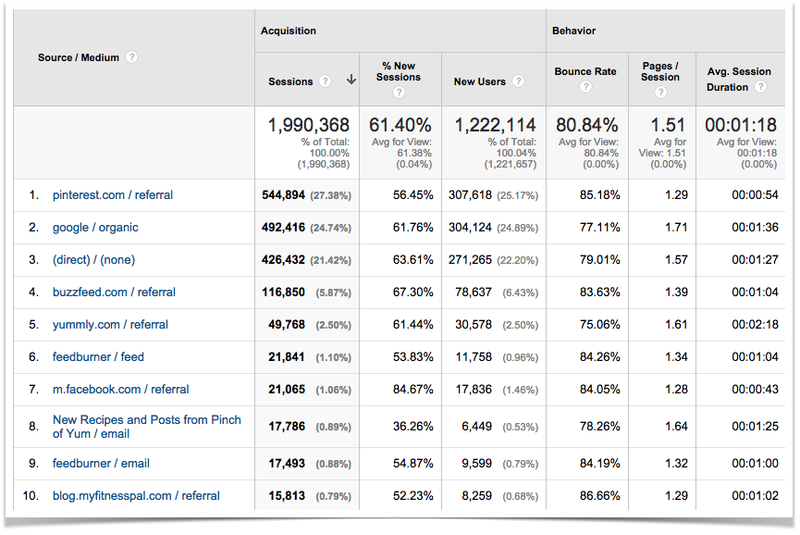 Check out the traffic sources for Pinch of Yum in the month of February. Pinterest is their lead traffic source. But, if you are serious about doing this, then you have to stop thinking of Pinterest as just another social networking site. Pinterest stopped being ‘Just another’ anything a long time back. Even if it may not have happened already, it is heading in the direction of overtaking Google as the most sought-after image search engine. And the biggest plus: the most popular topics on Pinterest are Food and Cooking. Like other social media outlets, Pinterest too has some unwritten rules that savvy pinners swear by. Stop thinking that randomly pinning images from your blog is going to bring you referral traffic. No, that is not how it works. There is a right way to use Pinterest, and we are going to tell you how. Let’s look at how someone usually discovers and starts to use Pinterest. They get an invite from a friend who has discovered Pinterest and sign up or do so themselves. They choose their area of interest and begin to indulge in some beautiful voyeurism. Soon they start repinning and creating boards of their own. To some it’s a collection, to some it’s a wishlist. Many people use it to organise things/ideas, like a party planner. Over time, they search and find pinners/boards that they are consistently impressed with. There is your follower. The one who will repin your pins and get you more and more traffic. Ideally you want to be that person, the one who is impressing users with your content. But this is only possible if you understand that Pinterest works a lot like a search engine. So whatever you do on Pinterest needs to be done with SEO in mind. First and foremost, make your images easy to find on Pinterest. Meaning, use keywords, both in the title and in the description. Give your audience what they are looking for instead of creating fanciful boards which may sound clever, but are certainly not going to help you get any traffic. So create boards with meaningful titles with SEO benefit. If the board is about how to make a great herb vinaigrette, call it that. Say ‘How to make the best herb vinaigrette with 5 ingredients’ instead of simply calling the board ‘Vinaigrette’. Another thing to remember here is to name your images appropriately when you are saving them. Most Pinterest traffic comes when other people begin to pin your posts. So your image needs to be easily found by other pinners. IMG000012 is not a great name for an image of a cheesecake. 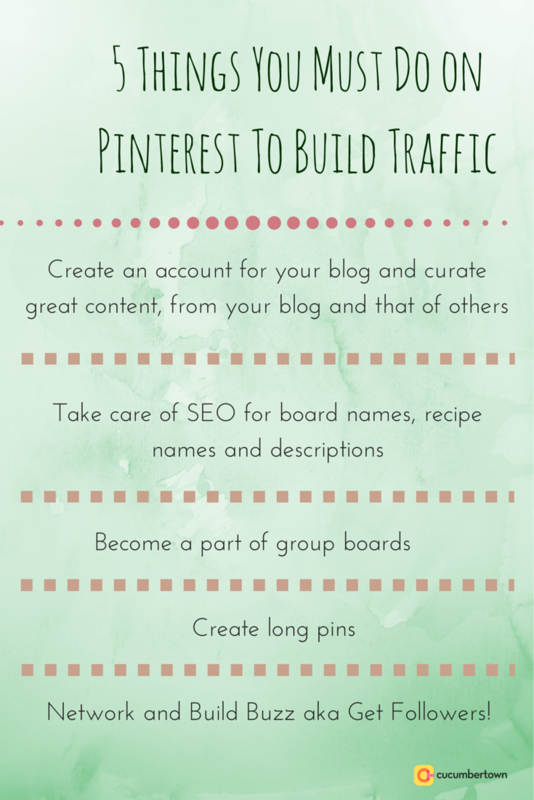 So everything you do on Pinterest needs to be with SEO in mind. You obviously also need to focus on building a fan base and followers. But that can also be given a helping hand with this SEO oriented marketing. The more people that find your images, the more people will follow you and your boards. The first thing to do is, obviously create a board for your recipes. Your blog should have a Pinterest plugin, so that with any post that you write, you also pin the images to that board. On Cucumbertown, the button appears when you hover on your image. This happens automatically because all Cucumbertown blogs are integrated wih the Pin button. With Cucumbertown if someone else wants to repin your content, they too can use the same button. And if they have forgotten there is a reminder at the bottom of the post too. A very important thing to note, while using Pinterest for any marketing efforts, is that the words are as important as the pictures. 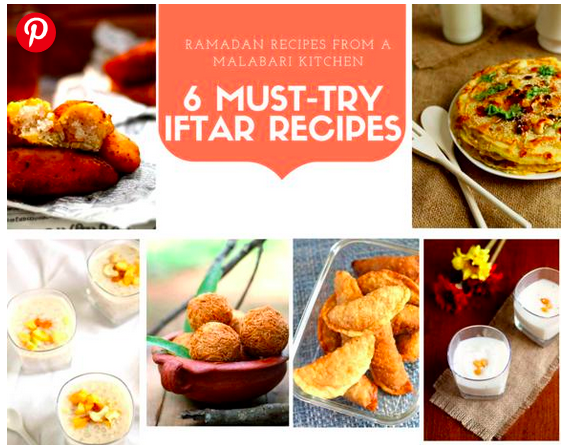 If you simply pin your recipe images without any text, there is no way people can find our recipe through a search on Pinterest. 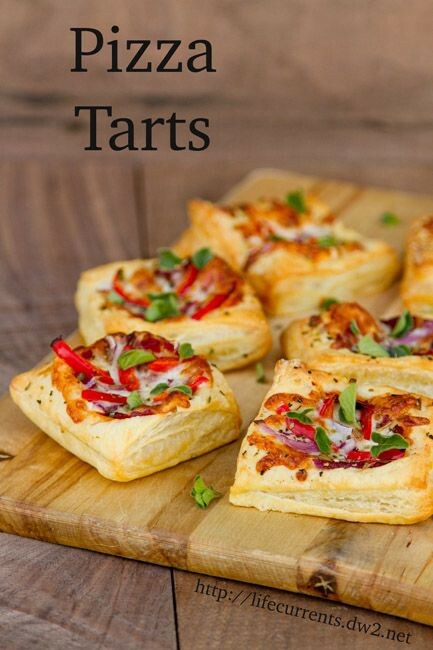 So one of the habits that you need to develop when pinning your recipes to a board is to make sure that you leave a brief description along with the actual name of the dish. 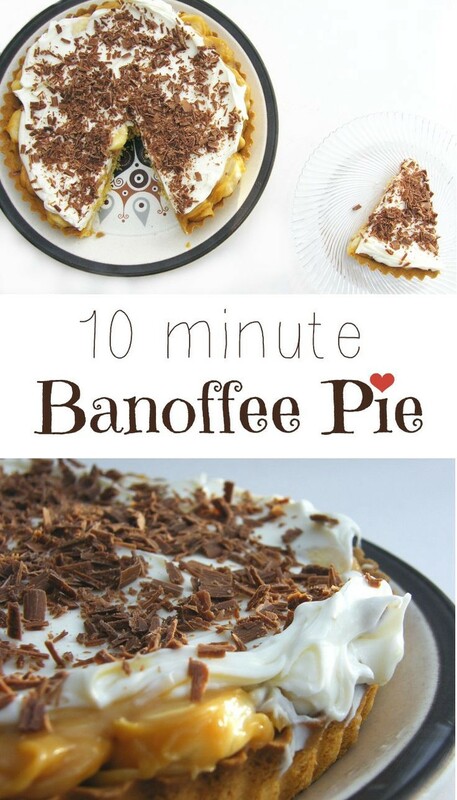 Nowhere in this description is there a mention that the recipe is for a Chocolate Cheesecake. So how is someone who is searching for cheesecake, going to find your recipe? Images with titles on them work well on Pinterest. So instead of simply pinning the image on it’s own, pin it with either the name of the dish, a snappy description or a ‘how-to’ title. This way there is an immediate visual connect, which is what Pinterest users are most interested in. Another thing you can do is to try and do a tutorial through your images. 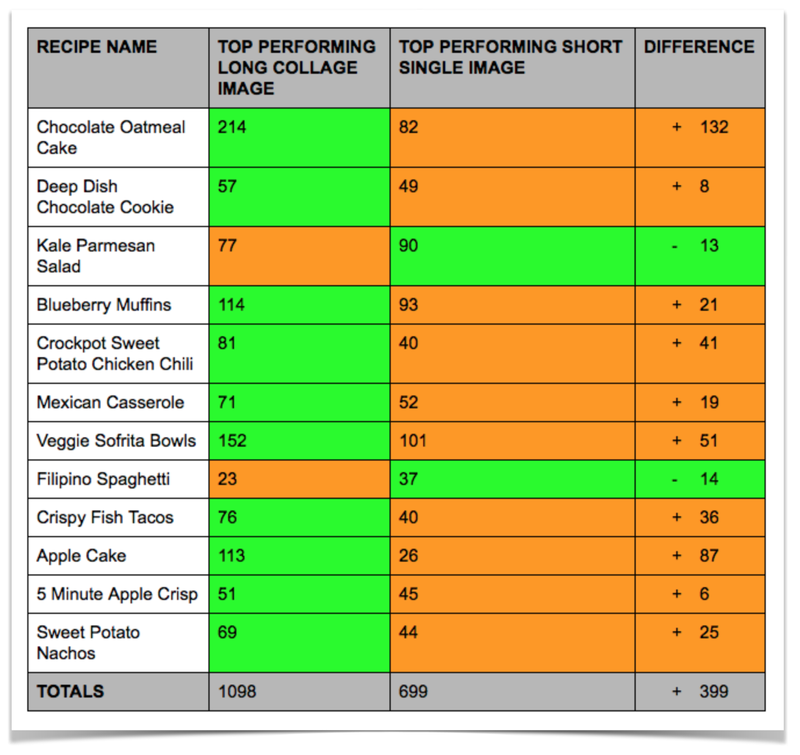 So if you are writing a recipe with step by step instructions, create a pinnable image with step images. And most importantly, create a lot of content on your Pinterest page. And remember, this does not mean you just watermark your blog’s name on every picture. That is certainly not how you would garner more visibility for your blog! If all you are going to do on Pinterest is keep on pinning images from your blog, then you might as well sit with a trumpet and announce your own greatness. At the end of the day, Pinterest is still social media, so social interactions are a key to marketing your blog through this medium. An important part of this exercise is to follow other boards/ pinners with similar interests. Repin their images, like their pins, comment on them and ask relevant questions and basically try and engage with these people. And then once a relationship is built with these popular boards/ pinners, try and get your content featured on their boards too. This will in effect, drive traffic to your blog too. The more repins you get, the more viral your content could become. An extension of this idea is to become a part of group boards. It’s often hard to find group boards, but PinGroupie is a great way to find such boards. Filter them based on popularity/ repins and then try and become a part of it. 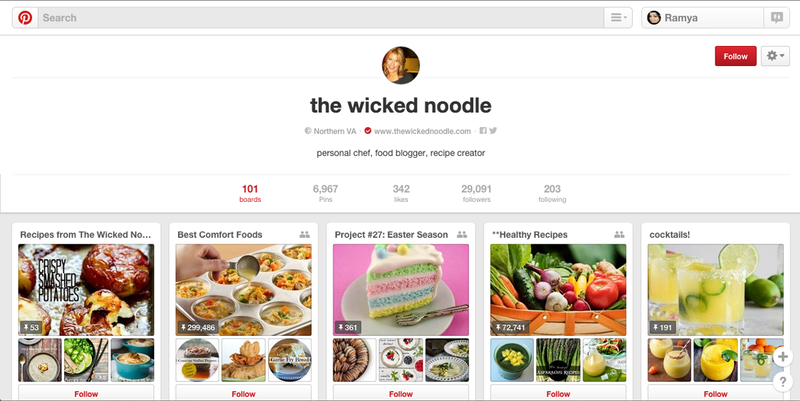 This is a great way to improve your visibility on Pinterest and gain more followers. This group board is a great initiative from Kristy Bernardo of The Wicked Noodle blog. Since I joined, my Pinterest traffic tripled! 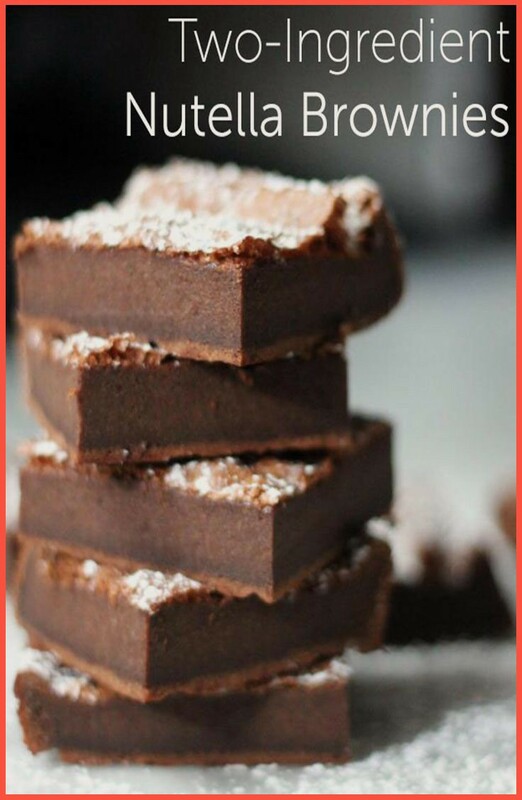 Keep in mind while using Pinterest as a marketing tool for your food blog, that everything is primarily about images. So it is understood that your images need to be attractive enough for people to want to click on them. But it is not simply about taking attractive photos. There are certain things that you can do with your images which will ensure that they follow some of the unwritten rules of Pinterest. 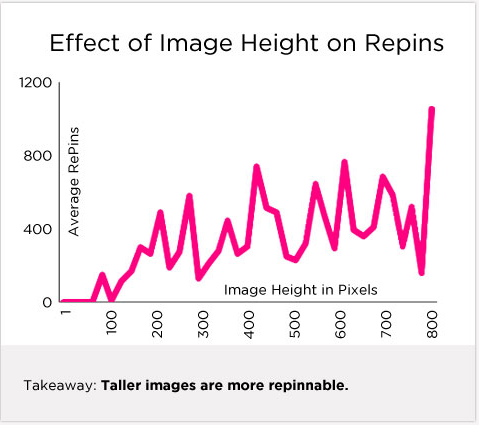 Use longer, vertical images as opposed to wider, shorter images. Pinterest works with an infinite scroll design. And with their design, longer images tend to stand out more, as opposed to the shorter ones. Pinch Of Yum is undertaking an experiment on this particular idea. And take a look at their findings in a month’s time. Add words to your images. Subtly, do not overcrowd it with unnecessary watermarking. It might look irrelevant, but this will make a difference. And you don’t need any skills for this. You can even do this on MS Paint! 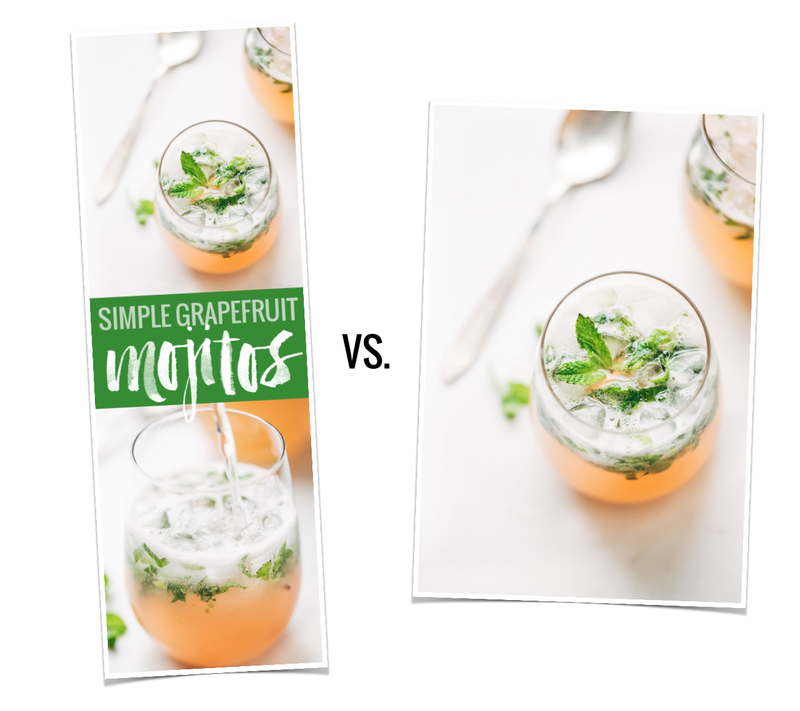 Some great tools that really make this super easy are Canva and PicMonkey. Super easy to use ad super effective. And of course, amp up your photography skills. This is an extension of the second point in this discussion. Use the fact that Pinterest is a social networking site to your advantage. The more followers you have, the better it is for building traffic. 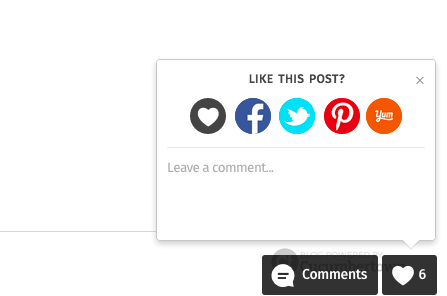 Because only then will your content be visible on more feeds, and hence present the opportunity for people to pin, like, comment and click. Host a Pin Exchange with other food bloggers. Get to an agreement with fellow bloggers and decide to promote each other’s content on your Pinterest boards, This will translate into more traffic, link juice and SEO benefits. A lot of bloggers do this on Twitter, so it will be a good exercise to extend the concept to Pinterest too. When you are pinning to a board, link it to your Twitter and Facebook accounts. It’s important to promote your Pinterest account, so more people find it and become aware of it. A great way to create a buzz is to have a content board on Pinterest. Similar to the first idea, get together with a group of food bloggers with an idea for a simple contest. Say, the contest is about innovative ways to use quinoa. Create a board for this and promote it on other social media. 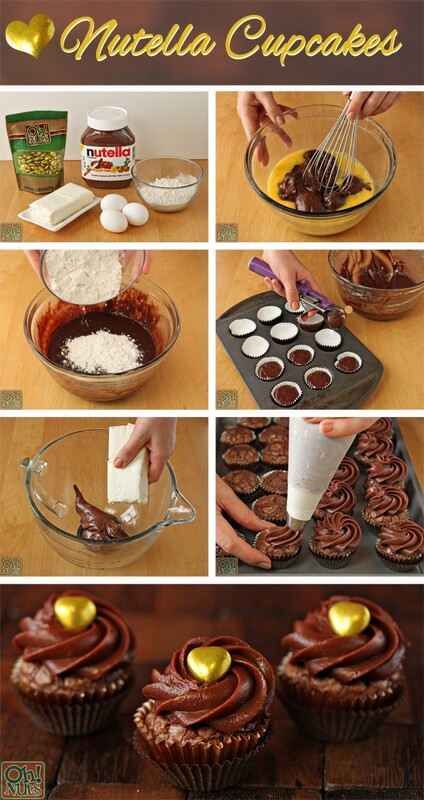 This is a great way to gain some attention on Pinterest. These are some simple things one can do to improve traffic from Pinterest. The potential for both virality and steady traffic is high on Pinterest. Use it wisely and you will see an enormous spike in traffic. But one thing to remember at all times is to make sure that you are being genuine in your use of Pinterest. It is primarily a place where you collect things that you admire or want to experiment with or indulge in. So treat it as a platform to do that, instead of just a marketing tool. So if you are passionate about creating a board about cookies, go ahead and do that, but be passionate. Don’t let the board become a means to an end. Ree Drummond | The Pioneer Woman, Elise| Simply Recipes, The Wicked Noodle, Karen (The Food Charlatan), Jenny Mc Gruther| The Nourished Kitchen, Ren Behan Food, Foodness Gracious, and Taylor | Food Faith Fitness, etc, are some of the most popular individual food and cooking related pinners. Their content is considered relevant by other users, precisely because they have used Pinterest with a genuine passion. They haven’t cramped all their recipes on to one board. They have taken the time to create boards with quality content, hence earning the respect of fellow pinners. Watch this video to get an understanding of how to use Pinterest effectively. So to put it simply, if you thought SEO traffic is your best friend as a food blogger, it’s time to wake up and look PINTEREST up and say hello to a whole new friendship!